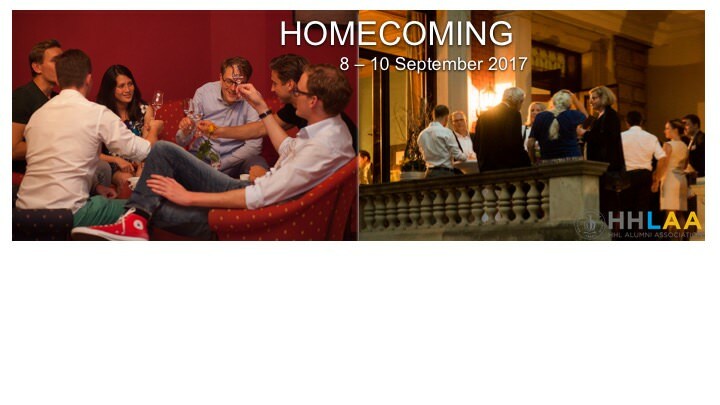 All Alumni are cordially invited to join our Homecoming 2017 in Leipzig. The event was designed around sharing ideas, networking and debating with your former fellow class mates and other movers and shakers of our HHL Alumni network. You can expect an eventful weekend celebrating the diversity, depth and talent of our community. Join our traditional gathering and help strengthening our network. A ticket gives you access to all events and covers costs for drinks on Friday, dinner and selected drinks on Saturday, as well as brunch on Sunday. Buy your ticket right HERE! *) Stay tuned for further speakers and details coming soon! **) We recommend "Business Casual" as dress code, but feel free to dress up or down. Do you have questions about HHL Alumni Homecoming 2017? Contact HHL Alumni Assocation e.V.